The project aims at establishing cartographic inventory of marine habitats of conservation interest to extend the Specially Protected Areas of Mediterranean Importance network (SPAMI), as required by Barcelona Convention's Protocol concerning Specially Protected Areas and Biological Diversity in the Mediterranean (SPA/BD Protocol). 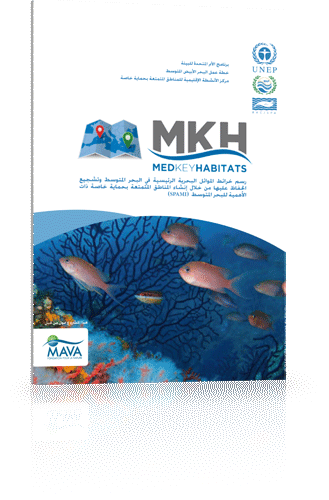 This will assist the countries partners to implement the appropriate mesures in relation to the priorities of the SAP-BIO and the recommendations of the Action Plans for the conservation of marine vegetation , the conservation of the coralligenous and other calcareous bio-concretions in the Mediterranean Sea and the conservation of dark assemblages of the Mediterranean Sea (marine caves, canyons, etc…). 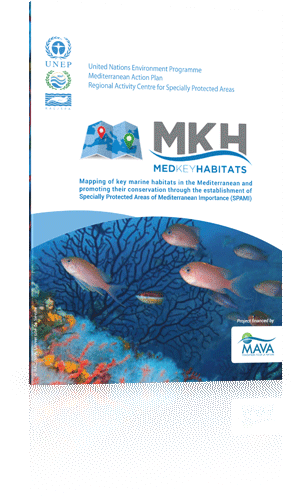 Expected results: a mapping of key habitats and the elaboration of the distribution Atlas of these elements in the Mediterranean. These actions will be implemented on a pilot site to be chosen in common agreement with the RAC/SPA focal point. Beneficiary countries: Algeria, Libya, Morocco and Tunisia. Expected results: Proposals for the creation of new ASPIM taking into account the distribution of key habitats to help improve the representativeness of the network of marine protected areas in the Mediterranean. Action 6: To organize a seminar in order to discuss the SPAMI list, and in particular by assessing the listed sites and proposing new ones for inclusion on the list. To the seminar, will be invited SPAMI managers, scientists, policy makers and donors. Action 7: Assist countries to nominate sites for inclusion on the SPAMI list by providing the necessary expertise in accordance with of the procedure adopted (Article 9 of the SPA / BD Protocol). Beneficiary countries: Albania, Croatia, Egypt, Libya and Montenegro.